A court in Bani Suef (Upper Egypt) rejects family’s appeal for Rzik Nagy, age 10 and Mina Fara, nine. The two charged with desecrating pages of the Koran. Arrested April 2012 they will remain in a juvenile detention center until the final sentence. Fr. Rafic Greiche denounces Muslim Brotherhood attempts to secretly control every sphere of society. 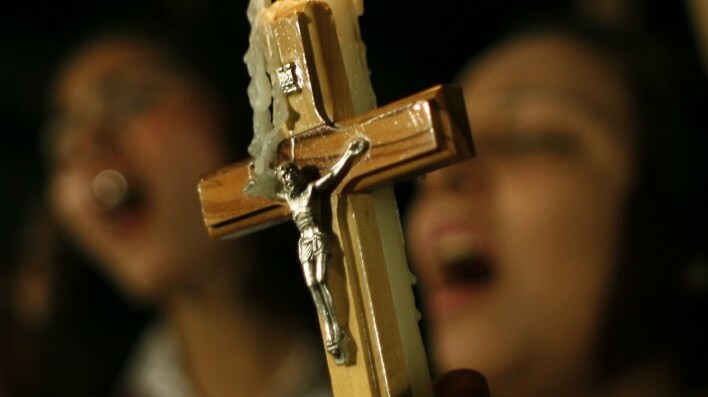 Cairo (AsiaNews) - Yet another case of violence and abuse against Coptic Christians. On 26 February, the Court of Bani Suef (Upper Egypt) dismissed the appeal of the families of the two children Rzik Nagy, aged 10, and Mina Farag, 9, accused of desecrating the Koran. They have been detained in a juvenile prison since April 2012. The case has attracted a lot of criticism in the country. Many claim the trial was illegal and devoid of any logic. Sami Harak, a lawyer and member of the Egyptian Movement Against Religious Discrimination, points out that "the Bani Suef case is a sad precedent and in the future there may be others for religious defamation, especially against children of the Christian faith." On 9 April 2012 the two were stopped by a local imam who accused them of having urinated on the Koran. Before calling the police, the Muslim cleric led Nabil and Nady to the local church demanding the priest punish them. At the priest's refusal the Imam took the two children to the local court with three other Muslims of the village. Without a trial, the judge detained the two children in a youth detention center on charges of religious desecration. Their parents' appeals and those of the local Christian community to local authorities have proven fruitless. Nabil and Nady are both illiterate and according to the parents could not have known what was written on those pages, found in among rubbish. If they are convicted, the case will mark a serious precedent for the country. For Saaid Abdel Hafez, a Human Rights lawyer, a double mistake has been committed. Given their age and the fact they are Christians they can not be punished under Sharia law. Local Muslims should seek compensation from parents and representatives of the local Coptic community. The second and more serious mistake was the trial by a civil court under pressure from a religious leader. Fr. Rafic Greiche, spokesman for the Egyptian Catholic Church, launches an alarm ove rthe growing Islamization of the country. "The Muslim Brotherhood - he says - are quietly replacing all local officials in governorates with people loyal to them. Egypt is increasingly becoming an Islamic country, with serious risks especially for the Christian minority." According to the priest these changes are occurring silently and far from the eyes of the media. Islamists are replacing second and third rank officials, which act as "advisors" to the leaders of the various sectors of the economy and Justice system. "The general population - he says - notice nothing strange. But dozens of people are being laid off and replaced with others who are openly close to the extremist establishment." Thanks to this "infiltration of the most intransigent wing of the Muslim Brotherhood and the Salafis act without the fear of being punished."